My Heart and Other Black Holes by Jasmine Warga tells a tragically beautiful story about two individuals that band together to end their lives side by side. I normally am not the hugest fan of teen suicide stories because let’s be honest, it’s depressing to read, but this story kind of sneaks up on you and surprises you in many ways. With beautiful writing, deep character developments, and dark emotions this book will take you on an emotional journey into the lives of teens who want to die, but not alone. Grab a tissue because you might be needing it at some point. The plot was one I have yet to see. It tells a story of a girl that is done with everyone treating her like the plague because of the horrific crime her father committed many years before. She has to live with the aftermath of it just by association. With suicide on her mind she seeks out a partner. A like minded teen who also wants to end his life for separate reasons. A suicide partner will keep you accountable and make sure that you both go through with it in the end. A very dark and profound plot line. Warga’s writing style is nothing but beautiful. She was able to take such heavy subject matter and write it with sensitivity and realism. When a story is able to make you feel such deep emotional feelings then you know it was the writing that provided that. With a beautiful story comes beautiful characters. Aysel is tortured by the crime of her father and has to live everyday with people treating her accordingly. Even in her own household and step family. The way that Aysel and Roman developed throughout the story was also truly astounding. Aysel goes from comparing her soul to a black slug of nothingness to finding a reason to live and fighting for Roman to see it too. A lot of Aysel’s lines really hit you in the heart as well and makes you feel deep sorrow for her. Roman is such a tortured soul that you just can’t help but feel sorry for the guy. The mistake that he made, he will carry with him all of his life, but he has to realize that there will be more life to live if he just keeps fighting to survive inside. The relationship Warga created was a bit lacking for me in the way of authenticity, but I’m sure if there was an epilogue to their story I might have changed my view on the matter. You get to see the world through Aysel’s eyes. It is very dark and gloomy which reflects off the way she feels deep down inside her soul. But you begin to see a turn around when she realizes that there is more to live for then suicide. “I wonder if that’s how darkness wins, by convincing us to trap it inside ourselves, instead of emptying it out. So when her views on the world begin to change so does the setting of the story. What goes from gloomy and depressing becomes light filled and hopeful! If you think that My Heart and Other Black Holes is not a book for you because of the heavy subject matter, then I urge you to step out of your comfort zone and give it a read. I’m sure you will be surprised with how much more than suicide this story is. Suicide may have brought them together, but fighting for each other will keep them alive! 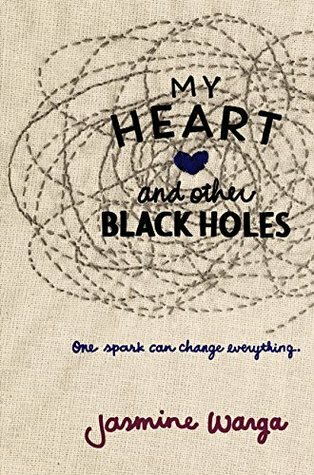 Let me know what you thought of My Heart and Other Black Holes by Jasmine Warga and I hope to see you next week when I bring you another great review! 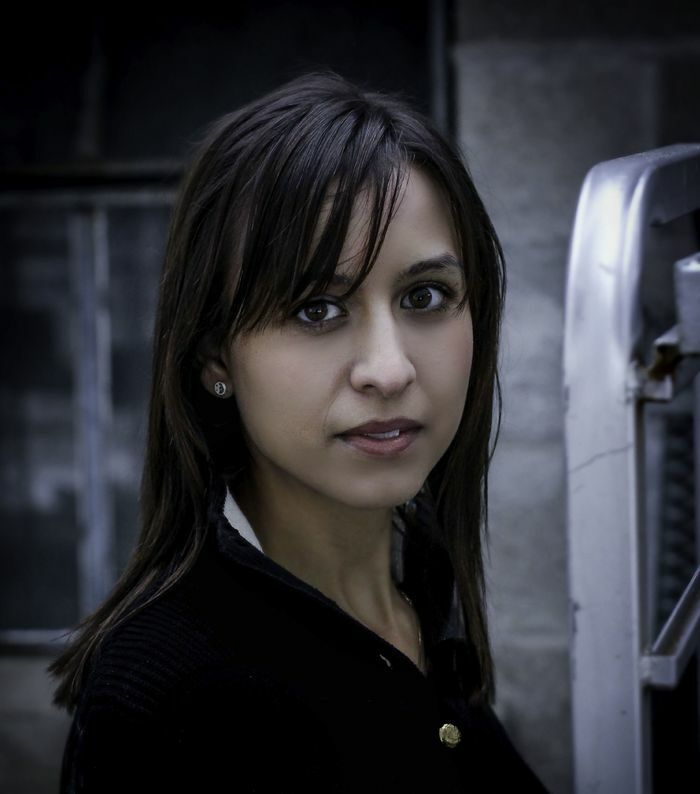 Jasmine Warga grew up outside of Cincinnati, Ohio. Before becoming a full-time writer, she briefly worked as a science teacher. This is her first novel. She like emotive music, animals of all sorts, lemonade, and Swedish Fish. And books. This entry was posted in Menu and tagged August, Contemporary, Fiction, HarperCollins, Jasmine Warga, Review, Romance, Suicide, Young Adult. Bookmark the permalink. Loving the format of your reviews lately, I have a weakness for subheadings, as you can tell haha. Glad you enjoyed the book, I try only reading one contemporary issues book a month because they wreck me way too much emotionally. This one sounds very poignant and special! It’s definitely worth a read! I try to read less and less contemporary too because I just don’t seem to enjoy them as much, but this one was a good one!